On Wednesday, April 19, a standing room only crowd gathered to hear Jacqueline Woodson speak at the American Library in Paris. Woodson is the Library's 2017 Visiting Fellow. She is the ninth in a line of distinguished professionals who have come to Paris since 2013 to pursue a book-writing project (fiction or non-fiction) or the making of a feature-length documentary film that is consistent with the Library’s Franco-American tradition and interests. 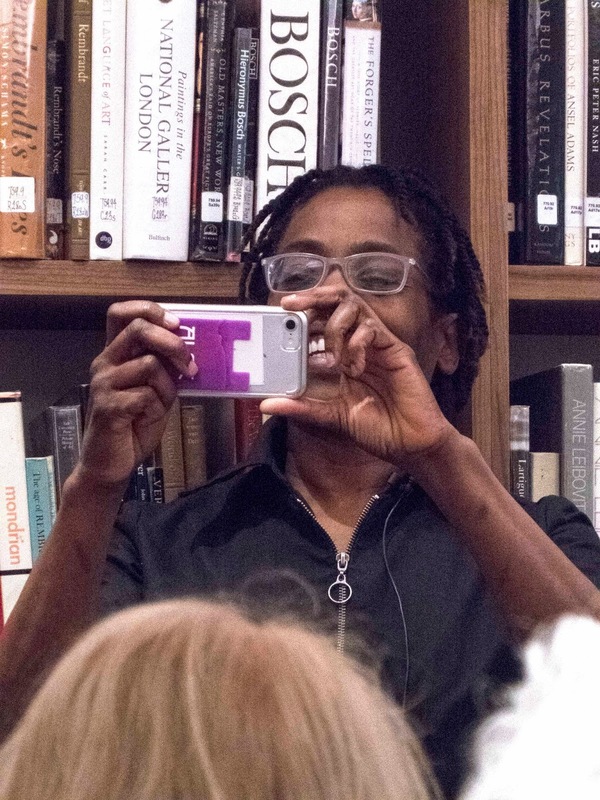 When she took the podium, Woodson unabashedly took photos of the audience to share with her family. She then expressed her excitement and gratitude for having the opportunity to visit Paris and work on her project, which she described in a blog post written especially for the Library as being about "movement and resistance." In a completely unassuming manner, she spoke candidly about her creative process and shared intimate details about her life and that of her family. Her reflections about her belief that books should present readers with mirrors and windows - places where they can see reflections of themselves as well as step into the lives and environments of others - was especially powerful. Woodson read from two of her books - Brown Girl Dreaming, a memoir, and Another Brooklyn, her first adult novel in twenty years. 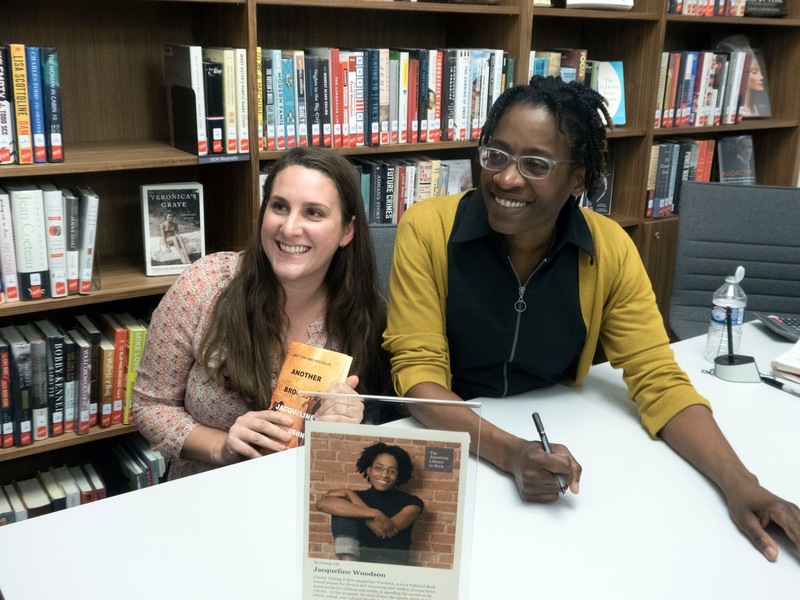 She described the latter as a "biography" of the Brooklyn neighborhood of Bushwick, where she grew up, and spoke of how one has more freedom to "play with time" when writing for adults compared to writing for children. Another Brooklyn was available for sale and signing after Woodson's presentation and the line of buyers was quite long. 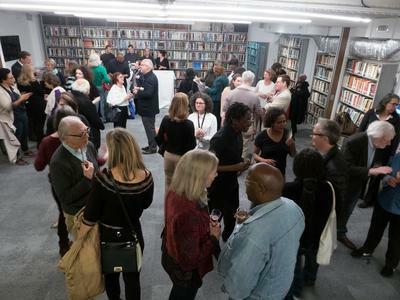 During and after the book signing, attendees gathered at a lively reception on the lower level of the library. Woodson has written more than 30 books, mainly but not exclusively for young adults and children. She has received numerous award for her work, including the National Book Award, the Coretta Scott King Award and several Newbery honors. 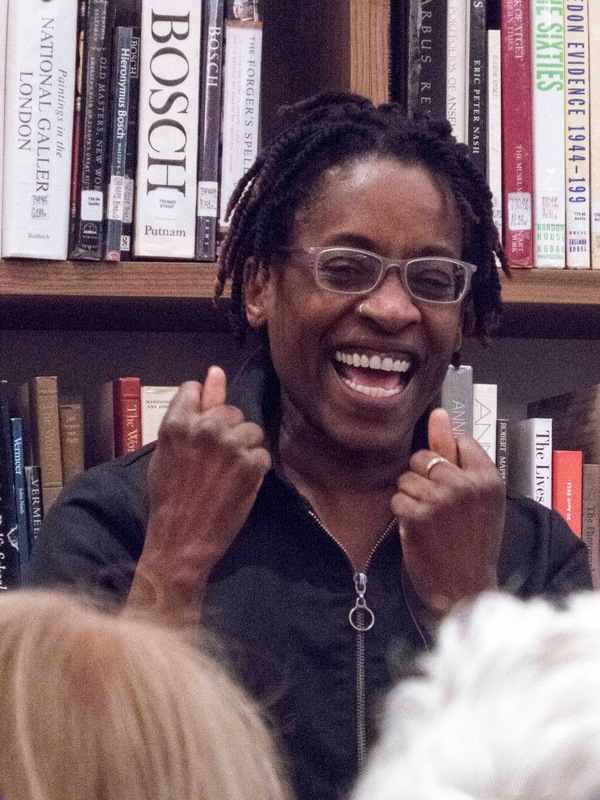 Some of her best-known works include Miracle's Boys and her Newbery Honor-winning titles Brown Girl Dreaming, After Tupac and D Foster, Feathers, and Show Way - all of which are available in the Library's collection. She is in Paris for the rest of the month of April. 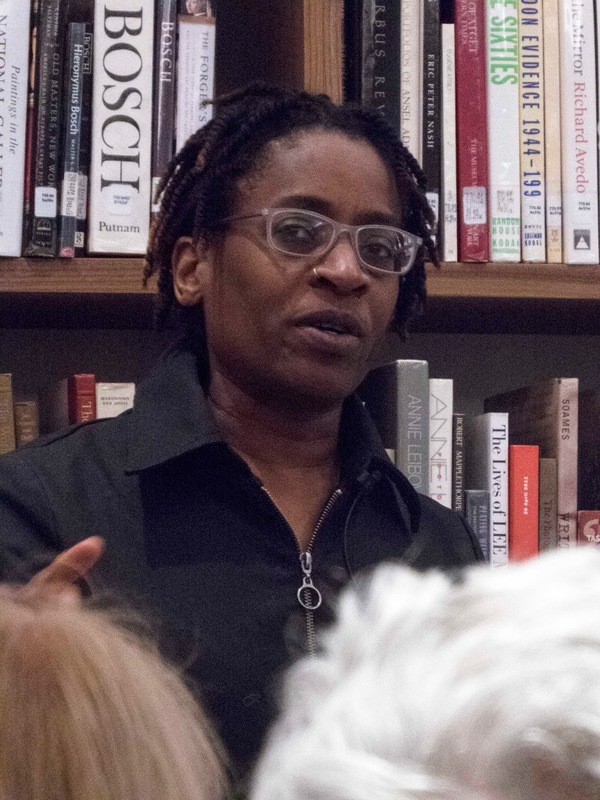 For more information about Jacqueline Woodson, click HERE.